In this issue: Student Health Insurance, Managing Finances, Your J-1 Visa, Coosing a Major and more! Winter break might be over but the new semester is here and we couldn’t be more excited! 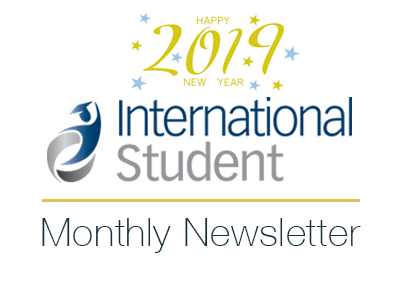 In this month’s newsletter we have everything you need to make the next few months successful, whether you’re already studying in the US or have the resolution to do so. Find the resources you need when it comes to insurance, financial aid, textbooks, and finding the perfect degree program. We’re delighted to welcome you to 2019 and a new semester full of opportunities for success! Health insurance is not a federal requirement for international students on an F1 visa, but many schools require students to have insurance. If your school does not mandate you buy a plan we still recommend having insurance coverage as medical costs in the US are very expensive. International Student Insurance offers a variety of plans to meet every student budget and is a great place to start your search. Compare their options and find the perfect plan for you. Visit our financial aid section for even more information! It’s not uncommon to make a New Year’s resolution to study in the US. If you’re one of the aspiring students who did just that, remember that you will need a visa- and more than likely an F1 visa. To help you get started in the process, visit our US visa and immigration section where you can find everything you need to know about an F1 visa including how to apply, where to apply, interview tips and maintaining your visa. Get the visa information you need so you can make your resolution happen! Choosing a major is a big decision that should be thoroughly researched. What you decide to study will shape the landscape of classes and the years you spend at university. To get a comprehensive look at the many subjects you can choose from, visit the InternationalStudent.com Study Guide. 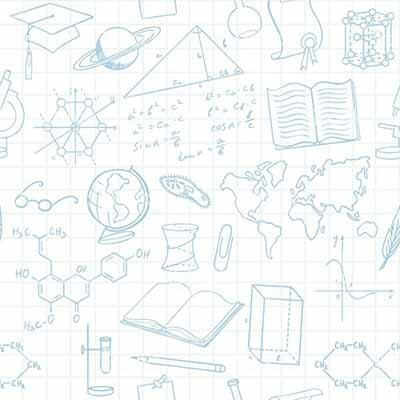 This guide includes 61 fields of study and will give you a more in-depth look at what to expect from each of the potential majors, schools to consider, and career possibilities. Best of luck deciding! New classes means new textbooks are needed- which can get expensive. It’s estimated that students spend up to $1,000 per semester on textbooks. How can you keep the costs down? The decision to rent or purchase will play a big role in savings, and so will some research on where to buy. Visit our textbook section where you can compare costs and buy (or rent) the books you need. Makeda King-Smith is the Director of International Student Advisement and an Assistant Director for Admissions at the Cooper Union. She holds a B.A. in Psychology with a minor in Africana Studies from the University of Pennsylvania and a Master's in Clinical Social Work. Makeda has worked with international students for the last 8 years in different capacities. In her current role at Cooper, she works to provide immigration advisement, support, and resources in addition to programming for all international students.